Pod Elliot taking residents on a tour of Elliot Gardens. Aurrigo is a leading manufacturer of driverless vehicle technologies based in the UK with offices in the US, Canada and Australia. 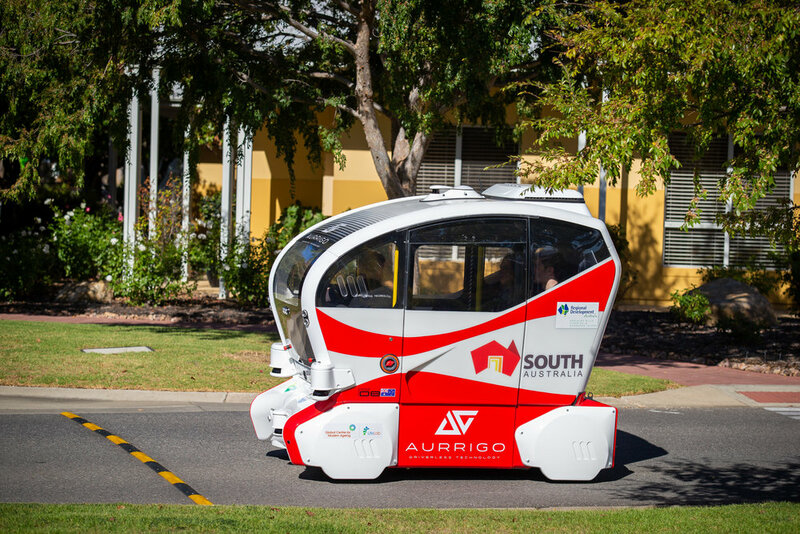 One of Aurrigo’s three Adelaide based podzero vehicles which have been operating since late 2017 at the Tonsley Innovation District as part of the South Australian government’s Future Mobility Lab Fund program will be assigned to the trial. The battery powered podzero operates autonomously through multiple sensor technologies with speeds up to 24 kmph and has capacity for four passengers or small cargo transport. From left to right : Vicki Neilson (Village Manager, Elliot Gardens), Julianne Parkinson (CEO, GCMA), Roger van der Lee (Director Autonomous Programs APAC, Aurrigo), Member for Finniss David Basham, Veera Mustonen (Executive Director LifeLab, GCMA) and Joanne Murray (Manager, Strategic Projects at Department of Planning, Transport and Infrastructure). Member for Finniss David Basham officially launched the trial. “I’m very pleased our community has been selected to undertake this trial,” said Mr Basham. Roger van der Lee, Director Autonomous Programs APAC said the opportunity to meet a demand for mobility services for senior citizens in a range of retirement living situations utilising our driverless technology is very important. “This trial will provide user feedback on the real-life experience of an autonomous mobility service and the performance of the pod, which will contribute to future service and technical developments,” said Mr van der Lee. Tony Randello, Managing Director, Lendlease Retirement Living said at Lendlease we create sustainable, connected communities where residents have unparalleled choice and opportunity to pursue active lifestyles. 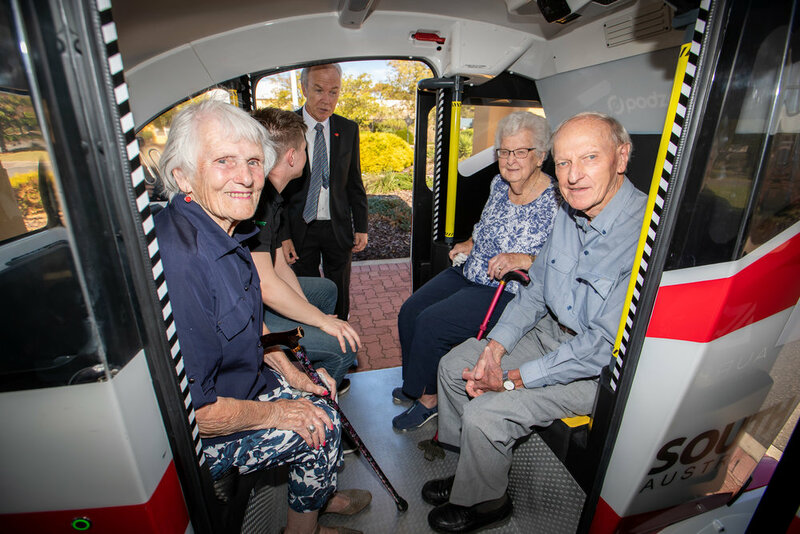 “We are constantly looking for ways to make our villages more liveable which is why we’re tremendously excited to be participating in this Autonomous Vehicle Trial,” said Mr Randello. The Aurrigo pod, named “Elliot” by popular vote of the residents, will commence operations on Thursday 28th March following a launch event at Montpelier Terrace, Port Elliot. For media enquiries, please contact Nicola Barr, nicola.barr@gcma.net.au or 0422 594 615.